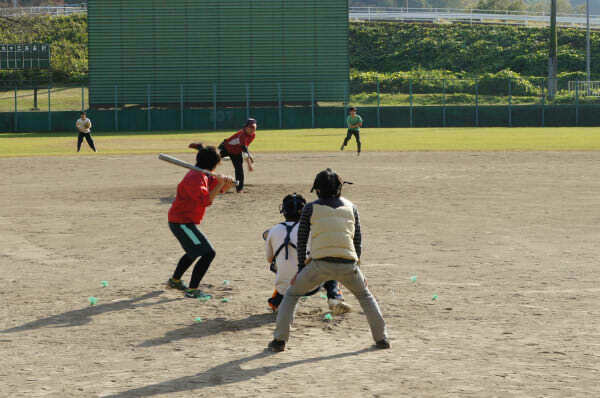 On October 27th, Riron + Katahira B team had the semi-final baseball game with the Junior student team. As usual, the weather was perfect for the game! Pitcher Tokiwa & Catcher Komukai vs. Junior student! but after 4 rounds, there were no any special moves or scores. See the score?!! zero~ zero~ zero!!! Was it too difficult to attack? or was the junior student too good at defense?! One fact being, the opponent team has a good pitcher! with fast ball speed! As long as we can overcome that, no problem! But phew! The stalemate was finally broken, and we scored!!!!! In total, the junior had a score of 1 point, and riron + Katahira B team scored a total of 5 points in one round! If we are able to keep this point difference... keep it... then we will win this game! Next, let pictures tell the story. 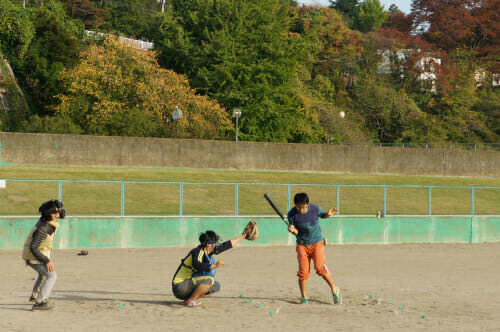 Gounded out by Fujimoto and Tokiwa, so the batter was out during the junior's round. No score. 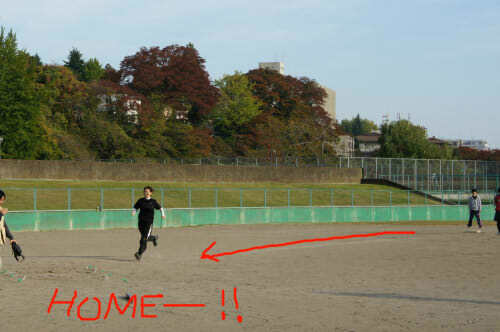 Nishi got a hit by pitch, so he was sent to the first base during the last round. No score. 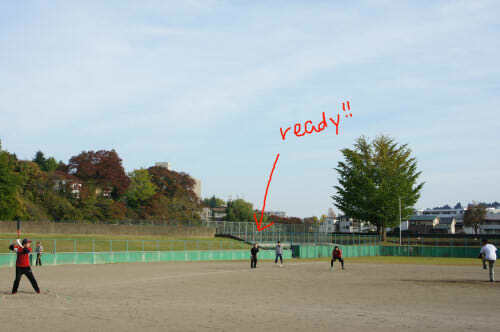 At the end, the two pitchers cleaned the ground together, awaiting for the next game! So, yes! Our team won by 5-1! We can move on to the final game!! Awesome!